Is Possession of Drugs a Felony or Misdemeanor? Today, we are going to dive into the these and other critical questions. By the end, you should have a basic understanding the different types of drug charges and their potential consequences. Let’s jump right in! Are All Drug Charges Felonies? Actually, most people convicted of a drug-related offense end up with a misdemeanor on their record. While these crimes are nothing to laugh at, they don’t carry as heavy penalties as felony charges. With sufficient time and good behavior, these can even be removed from your permanent record (typically). Let’s take a deeper look at the drug charge classifications and see which carry the steepest penalties. What are the Different Drug Charges? While most individuals charged with a drug-related crime face possession charges, there are a variety of crime classifications. The lines dividing (relatively) minor and major crimes may be smaller than you realize. Personal criminal history also plays a role in charge severity, but we’ll talk about that later. 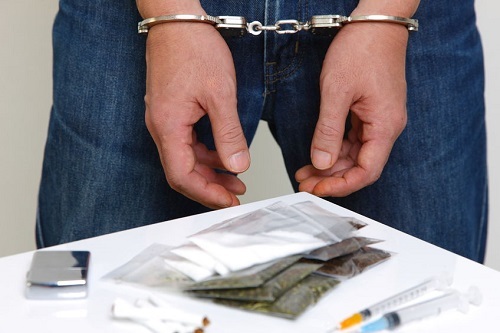 What are Misdemeanor Drug Charges? Marijuana is one of the most common substances involved in Indiana drug charges. 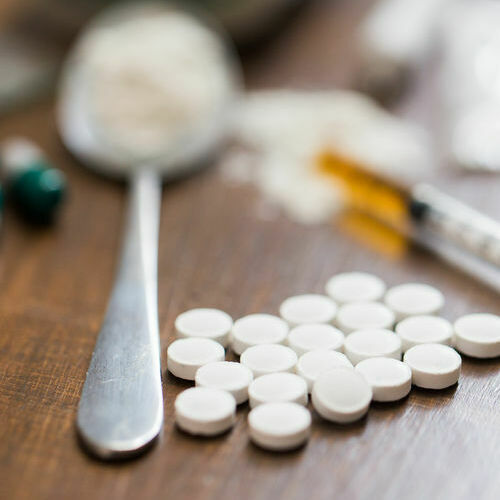 While it is considered a Schedule I substance, it typically serves as the exception to typical penalization in cases involving highly controlled substances. Individuals charged with possession or cultivation (in limited amounts) will likely be charged with a misdemeanor. Prior conviction(s), when combined with possession of a high volume of marijuana or a derivative substance may face a felony charge. Do first time drug offenders go to jail? Not usually. Many people caught with lesser controlled substances may never see jail time (unless the amount in their possession is substantial). Minor offenses often result in simple fines or rehabilitation programs. What Drugs are Felony Charges? Substances classified as Schedule I (with the exception of Marijuana and related derivatives), II, or III according to Indiana state law will frequently cause a drug crime to be charged as a felony. While mitigating circumstances and lack of prior criminal history may cause some low-level felonies to be downgraded to misdemeanors, these are the exception (not the norm). Possession, distribution, trafficking, manufacture, and/or cultivation of these heavily controlled substances. Repeat offenses involving Schedule IV and V substances. Offenses involving high volumes of Schedule IV and V substances. Individuals caught trafficking (dealing) or distributing drugs often face the worse penalties. What is the jail time for selling drugs? We’ll touch on that in a little while. Can Drug Charges Be Dropped? Mitigating circumstances, substance scheduling, the defendant’s criminal history, and the skill of the criminal defense attorney all play a factor in whether or not charges will be dropped. For minor offenses, many courts opt for rehabilitation programs if the defendant will simply pay applicable fins and court costs. Afterwards, the charges may be dropped and the individual’s record cleaned. A criminal defense attorney will offer more thorough details. How much time do you get for a drug charge? That ultimately depends on the classification of the crime and prior history of the defendant. If the individual was hit with drug charges while on probation (for instance), they will face a higher likelihood of significant jail time. The same can be said for the price of bail services. While pricing varies from state to state – your Indianopolis pricing won’t be the same as posting bail in Lebanon, PA – criminal penalties and bail both trend upwards for repeat offenders. Individuals charged with misdemeanors may face up to a year of incarceration, though that may be doubled if the offense took place within 1000 yards of a school zone. Those charged with a more serious drug offense may be charged with anything from a Level 6 to a Level 2 felony. Prison terms range from six months (Level 6 min) to 30 years (Level 2 max). Drug charges already bring so much stress and anxiety. On top of this mess comes the concerns about pretrial trial lockup, where some defendants spend weeks or even months prior to their trial. Our team at Indiana Bail Bonds would love to help you! With timely bail services for drug charges in Avon and Indianapolis, IN, our service allows you (or a loved one) to skip almost all pretrial jail time. That’s valuable time where you can continue earning income, meet with family, and coordinate with your defense attorney. To learn more about our local services, call 317-423-9300! Posted in Uncategorized and tagged felony drug charges on April 12, 2019 at 3:38 pm by Indiana Bail Bonds. ← Can You Bail Out of Jail On a Probation Violation?